Stellar Sales Training, Inc. is an Ohio based company dedicated to providing world class sales training, coaching, and sales skills development through public sales training seminars and workshops as well as customized sales training and coaching seminars for individuals, corporations, associations and Chambers of Commerce throughout the United States. With over 40 years of sales experience Carl Bromer, founder and President of Stellar Sales Training, Inc., has devoted his business to teaching others how to build truly sustainable long-term sales successes by focusing on the principles of integrity and honesty which are the foundation for our Natural Selling Concepts. Jim is Vice President of Marketing for Stellar Sales Training. He began his career as a high school math teacher, and has been in sales since 1981. 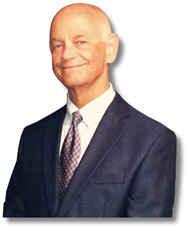 Since 1998 he has been a professional sales trainer, conducting seminars for various U.S. Chambers of Commerce; while providing training and coaching for such professional organizations as Accountants Global Network International and CPAmerica International; non-profit organizations such as The Boy Scouts of America; and companies such as ADESA Canada, Cobb Galleria Centre (Atlanta), Fifth Third Bank (Cincinnati), Hatteras Yachts, Infinity Insurance Companies, Nashville Convention Center and Stevens Worldwide Van Lines. In addition to conducting seminars, Jim is a professional sales coach. Since 2003, he has been the lead instructor and coach for the CPAmerica Competitive Advantage Training Academy. He is also certified by the Georgia Real Estate Commission to teach the �Natural Selling Concepts� system for CPE credit. 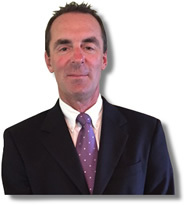 Jeff has over 27 years of successful experience building sales teams and selling to national accounts. He has managed national sales organizations as well as sold personally to major brands like Home Depot, Bed Bath & Beyond, Michaels, Piggly Wiggly, and Giant Eagle. He has also sold highly regulated companies like Catholic Health Partners and several international airports like Logan, Dullas and JFK. 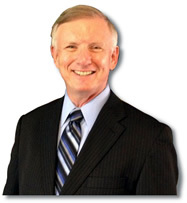 Jeff has been a student, practitioner and trainer of Stellar Sales Training principles since 1997. He has personally used and polished these techniques in the real world and more importantly, he knows how to effectively teach them to other sales professionals. We provide professional sales training and consulting related services throughout the United States to individuals, associations, non-profit organizations, Chambers of Commerce, and any business that relies on a strong sales force to survive in today's competitive marketplace. At Stellar Sales Training we don't believe in "high-pressure" sales techniques. Instead we promote "high-speed" selling, the technique of shortening sales cycles and accelerating customer relationship building. We teach others how to succeed in sales without changing their natural style or personality by using our "Natural Selling Concepts" and by learning to understand and follow the persuasion and decision-making principles that govern selling. Ask how Stellar Sales Training and Natural Selling Concepts can turn you and your sales force into "high-speed" sellers!